PlumbersStock is one of the few online suppliers of new fire hydrants, parts, and tools. 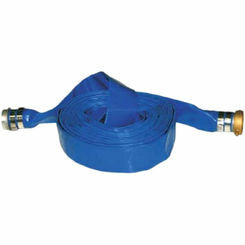 Our hydrants are perfect for municipal plumbing applications. The invention of the pillar fire hydrant came about in 1801. They were built with a “wet barrel” design and offered a dual-purpose outlet for hose and faucet. If you are looking for wholesale fire hydrants for sale for your municipality, you have come to the right place! Be sure to get the necessary waterworks fittings for your hydrant. 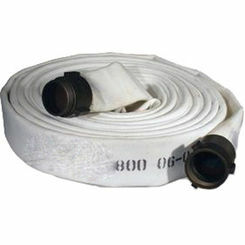 We have trusted names in hydrant products, including American AVK and Seal Fast. To correctly use a fire hydrant you must attach a hose to the water valve. You will then open the valve to create water flow. The water from a hydrant is not low-pressure water like from a household tap. As you have probably seen in the movies, it is very high pressure. Its pressure can vary depending on the region, size of the valve, and where it is located on the water main. If the water pressure is not consistent enough, you can hook the other end of the hose to a fire engine and use a pump to boost the water pressure. Most of the water valves on fire hydrants are unable to control the amount of water flow. To keep hydrants from being vandalized or misused, the hydrants will require special tools to open valves. Some people will try to open the hydrants for personal use to cool off in hot summer months, but this is discouraged because it could lower water pressure throughout the city. Depending on your area, you will either use a Wet barrel or Dry barrel fire hydrant. Dry barrel hydrants are used when the region frequently suffers freezing temperatures. The valve is found under the “frost line” so that it can prevent damage from cold temperatures. The Drain valve underground opens when the water valve is completely closed; this allows the water to drain and not freeze in the line while not in use. 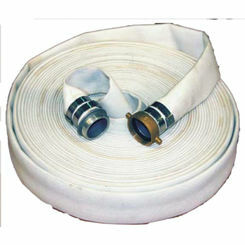 The wet Barrel fire hydrant design is used in warmer areas. There are other types of hydrants besides the Wet and dry. There are non-pressurized dry hydrants. These are usually located next to a pond or lake, and one end is below the water level. When water is needed, a pumper fire engine will pump out water from the lake or pond. There are also water wells or standpipes that are able to draw water out when needed. Fire hydrants can have many different appearances. The coloring is done to help identify which valves put off more pressure. If they are Class AA hydrants, they will have light blue nozzle caps and bonnet. Class A will be green. Class B is orange. And last, but not least, Class C is red. This aids firefighters in determining what amount of water is available and if they need to call for additional water supply or not. You will need to inspect the hydrants annually. Most hydrants come with a 1-year warranty, but some can be for longer. Inspections are usually performed by the local municipalities, but if the hydrants are specified as private, they may not come and inspect it. 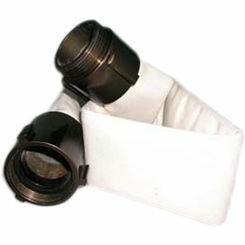 We offer great prices on all our products. If you are looking to buy a fire hydrant, parts, or accessories, you may need help navigating the products. If so, please contact our team, and we can walk you through all the different specifications.